This post may contain Affiliate links. Click here to view our full disclosure. What I failed to mention is that I was under the impression that we would get married, have children, live in a huge house with not a worry in the world, romance would always be in the air and we would live well happy ever after…Boy was I in for a reality check!! 1. Marriage is WORK: Many times we go in thinking how can it be hard being married. After all you are marrying the person you love and they are essentially your best friend. What you don’t prepare your self for is money issues stepping in. You don’t prepare yourself for those moments when words are said that can shatter you for that moment and then you have to actually talk it out like adults and reach a point of mutual understanding. I had not had the privilege of living in a home where marriage actually meant forever. I myself got married with running shoes on. Those first 3 years I can not tell you how many times I packed my bags and went back home to mom. It wasn’t till my husband and I both agreed divorce is not ok for us that we really started to work at making our marriage work for us. Believe me it has been a lot of work because my husband and I are polar opposites. We had to learn no longer could we just worry about ourselves we had to worry about each others needs first! 2. Romance is not always in the air: That twinkle you have on your wedding day is not there forever. Once kids come it is replaced with doctors appointments, laundry, diaper changes, health scares and well life. However it is replaced with comfort, security and understanding. I love knowing that at the end of a really bad day my husband will come home, be my sounding board and then just give me a hug. Hugs given at just the right moment are worth far more to me then that twinkle. My husband before we got married used to write me all kinds of little love notes. I actually still have them because someday I am sure my kids will get a kick out of how we started our life together. Those notes now are far and few between however they haven’t completely stopped but they are that much sweeter now because now I know he is writing them to the real me not that young pretty teenage girl. Instead he is writing them to his wife, the mother of his children and his best friend. 4. Arguments will happen: No they are not fun. And no they do not bring out the best in us. The goal however is to learn forgiveness. Things will be said and regretful remarks will be made. We just learned to apologize, forgive and forget. Over the years my husband and I have done a lot of growing up in this area. 5. Life will throw nasty curves: It is a running joke in my family if it wasn’t for bad luck we would have no luck at all. It is in those moments however we are able to lean on each other more and grow in Christ. This is how lessons are learned and how growth begins. If we were never tested my husband would have never learned how to change a tire. I would have never learned that when I am weak spiritually my husband is there to help drag me to the finish line. 6. Extended family will not always be there: God told us to cling to our spouses. I grew up in a very tight-knit family. Yet times have changed we have all married and gotten families of our owns. No longer do we seem to have time for family cookouts, birthday engagements and such. Phone calls are even few and far in between but my husband well he is always there. Every surgery I have ever had, every successful moment and even those not so successful moments. Our spouses know us the real us and yet they stay. 7.Nights out are few and far in between. I can not tell you the last time my husband went out just the two of us. Life with a large family kinda puts a kink in that BUT you can still have day nights in and they are VERY important. You must figure out a way to stay connected to each other. Because once those children leave home guess who is still there. 8. Your In-Laws can become your best friend. As a wife it is important to have a good relationship with your husbands mother. After all she was your husbands first love. She is the one who raised him to be the man that he is today. I am thankful that my husband learned things like how to clean, how to cook and how to treat me with love. These things were learned by his parents example. I never met my Father-In-Law. But I can say I have a pretty good relationship with my Mother-In-Law. She provides helpful insight on why my husband is the way that he is. 9. Children will change things. Sure you say that they won’t but trust me they do. No longer does he just greet you at the door but there are even more people at the door to greet him. Quiet dinners not gonna happen. Your focus is on the children and that is a great thing. But work hard to remind your husband that he is number one. 10. The man you marry will become your everything. I knew I loved my husband when I married him. Has the years have gone by I have found I love him even more now then I did 13 years ago. I seek his approval. I LOVE hearing him say he is proud of me. As you grow old together you learn that your relationship is number one. Well under your relationship with God of course. You learn what makes each other ticks and you learn how to make each other truly happy. With that comes a great responsibility. You must be willing to protect this love, nurture it and continue to make it grow. Your outer beauty will fade but that love is all that you need. When our first son was born I remember looking in the mirror crying because lets just say pregnancy was not kind. My husband quickly informed me that when he looked at me he didn’t see all the blemishes I seen instead he just seen the woman he loved and the mother of his child. 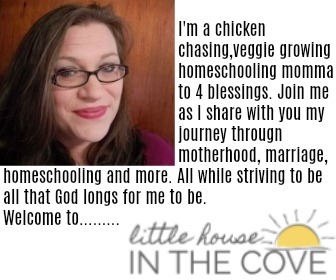 I would like to invite you to my Facebook group Christian Homemakers in Training where we dive into homemaking, motherhood, marriage and group devotions. After all, we all need a safe place to grow together, right? Yes, I would like to receive newsletters, offers and updates.